What for? Raise a pint and help raise money for a local women’s sports team! Iron Horse Brewery will donate $ to our league for every pint sold! What else? 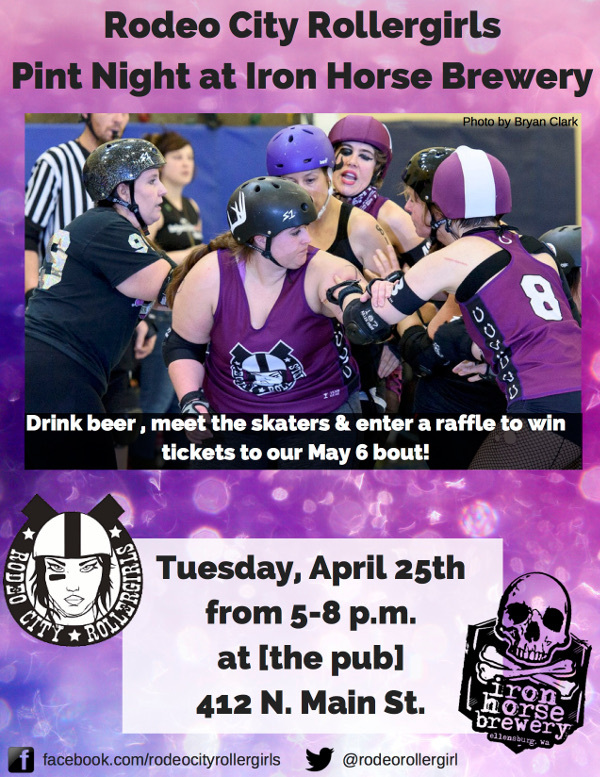 Drink delicious brews, talk derby with some of our skaters, & enter a raffle to win tickets to our May 6th bout!